I know that the "top videos" article I do weekly is usually reserved for hip-hop artists, but one can make the argument that Mary J. Blige is "the queen of hip-hop soul" and very few would disagree with that description. She's been one of my favorite singers for over 25 years, a fact proven to me by seeing her name come up in a song from 1990 in an article I wrote last week. As such I felt it's high time I give this talented, gorgeous, wonderful songstress her due. What's the 411 hon? I'll tell you - it's Mary - and she's got it goin' on. 1.) Mary J. Blige - "Real Love"
2.) Mary J. Blige - "Family Affair"
3.) Mary J. Blige - "No More Drama"
4.) Mary J. Blige f/ Greg Nice - "You Remind Me"
5.) Mary J. Blige - "Be Without You"
6.) Mary J. Blige - "Take Me As I Am"
7.) Mary J. Blige f/ Drake - "Mr. Wrong"
8.) Mary J. Blige - "Not Gon' Cry"
9.) Mary J. Blige - "Everything"
10.) Mary J. Blige f/ Nas - "Love Is All We Need"
11.) 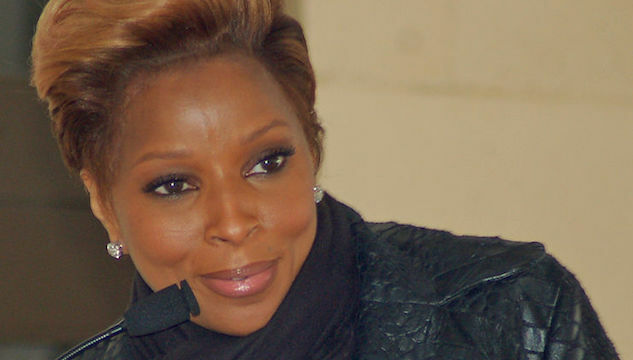 Mary J. Blige f/ Rick Ross - "Why?" 12.) Mary J. Blige f/ Drake - "The One"
13.) Mary J. Blige - "Reminisce"
14.) Mary J. Blige - "All Night Long (Live)"
15.) Mary J. Blige - "Your Child"